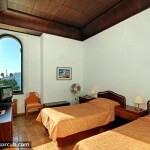 Hotel Korcula De La Ville - Book Now! 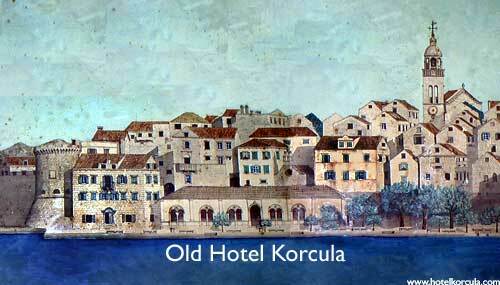 HotelKorcula.com is a website dedicated to the famous Hotel Korcula De La Ville - the icon of Korculan and Croatian tourism. 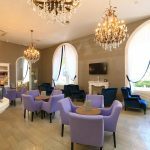 This is the first hotel ever built in on the Island and is still the most prestigious place to sleep, dine and drink in Korcula Town and beyond. This oldest and most atmospheric accommodation in the town dates back from 1912 when tourism and travel was the privilege of wealthy European middle classes. 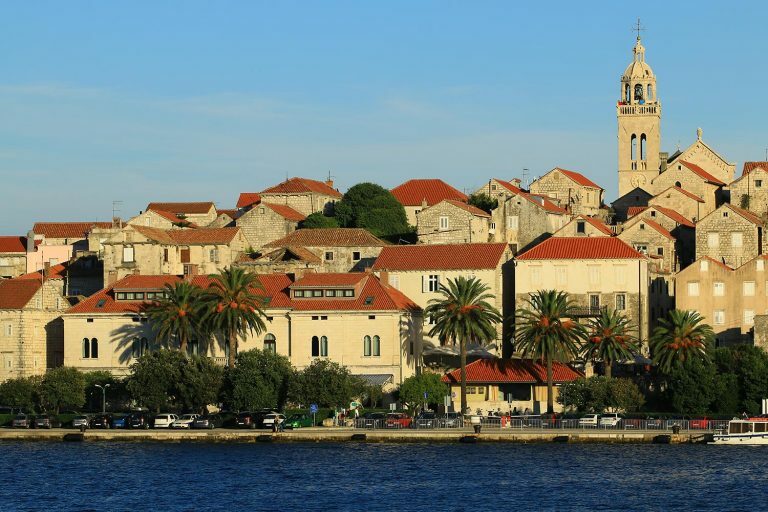 The construction of this 22-room hotel in 1906 gave Korcula a new vocation - tourism, that soon became the island's mainstay. 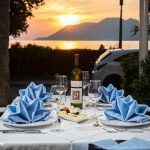 Tucked between the medieval town's massive walls and a stunning azure bay, the Hotel Korcula has a grand facade and vine-covered terrace dressed with white wicker and linen tablecloths. 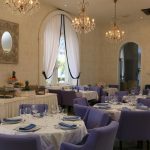 The lavender haze of dusk, live musicians and waitresses in starched aprons create a romantic evening setting. Hotel Korcula de la Ville has an interesting and dramatic history that she shared with our town and island: from times of first and second world war, via swinging sixties, happy seventies, well-established eighties, dark and difficult nineties, until nowadays, when Korcula is as interesting as ever. Immortal.